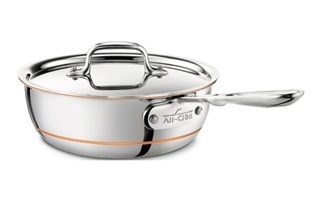 The All-Clad Copper-Core cookware collection has a stainless steel exterior with a copper center which ensures quick heating and cooling. 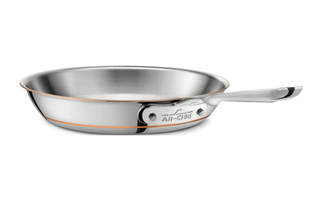 Copper Core pots and pans are designed with a rolled edge rim for dripless pouring. 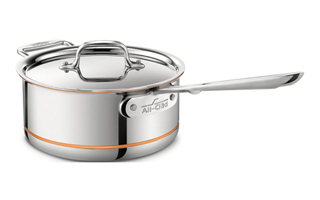 A special handle makes All-Clad Copper-Core collection especially comfortable to hold as you cook. 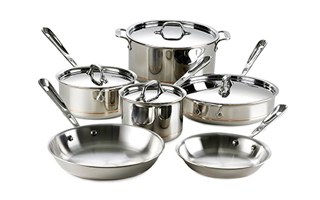 Start your All-Clad Copper-Core collection with these great value sets. Save more buying a set versus by the piece. 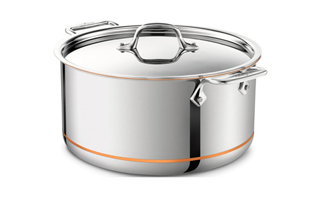 Useful for sauteing as well as frying. Sloped sides make maneuvering hot foods easier. 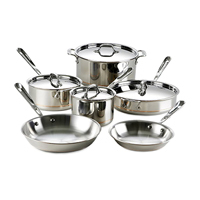 Perhaps the most popular pot in the kitchen, sauce pans are the foundation of your cookware collection. 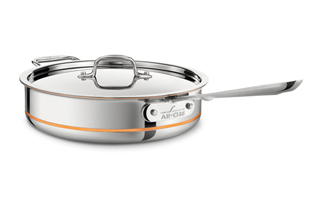 Some models also have an additional "loop" handle to help lift and control the pan. 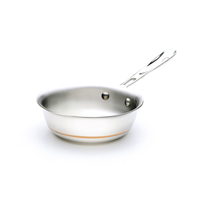 The saute pan has a wide, flat bottom, and short, straight sides. 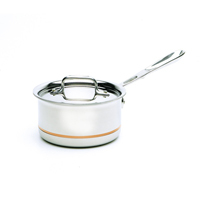 Larger sizes also have a loop handle to help in lifting the pan. 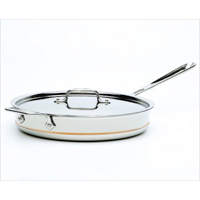 The saute pan is used for browning, sauteing, and frying. 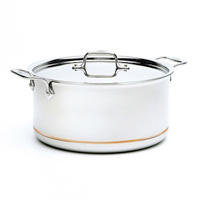 A large, deep, straight-sided pot for preparing stocks and simmering large quantities of liquids. Designed with rounded sides and a wider brim for easier stirring and whisking. 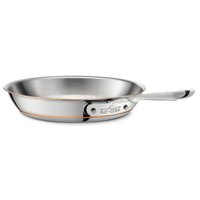 Use in place of either the sauce pan or saute pan.